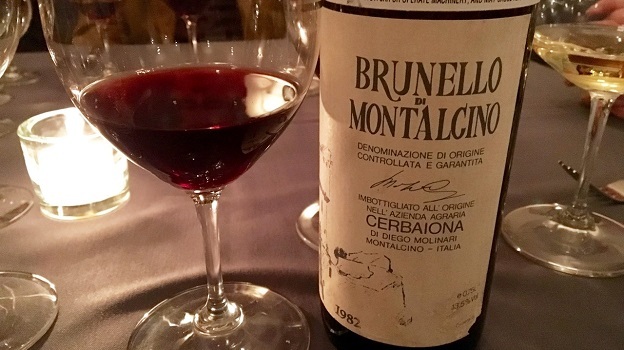 A stunning early wine from Cerbaiona, the 1982 Brunello di Montalcino is absolutely gorgeous. Still deeply colored and vibrant, the 1982 is translucent and weightless yet also incredibly powerful, especially for a wine of its age. Enticing scents of macerated cherry, plum, leather, smoke and exotic spices make a strong opening statement, but it is the wine’s palate intensity and explosive energy that are the biggest surprise. The 1982 has stood the test of time beautifully. Well-stored bottles will keep for another few years, but it would be a shame to miss the wine at its glorious peak of expression. 95/Drink 2016-2026.